Dr. Lee will readily tell the story of growing up building everything with his hands and being endlessly fascinated by the details and how things work. When deciding on a career in dentistry Daniel Lee was able to bring this affinity for intricate work to the goal of helping people stay healthy. 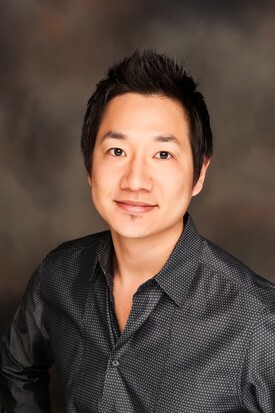 Dr. Lee received his training from Loma Linda University in Southern California graduating in 2002. During his studies he was fortunate to be in a program that gave him an abundance of experience in the full spectrum of procedures. For over a decade now Dr. Lee has led the team at Covington Smiles establishing a practice with avidly loyal patients and a talented dental team. The perfectionist in Dr. Lee continues to pursue training and coursework so that his offerings stay current with today’s emerging dental care. Many dentists claim to be all this but as colleagues and patients will attest, Dr. Lee’s dedication goes beyond that of career to really caring about each patient’s well being. Dr. Hodges began restoring dental implants in 2001. He is extensively trained in implant surgery, implant restoration, and the lab processes associated with building your restoration. Dr. Hodges has restored over 125 full-arch “All-On-4” fixed implant bridges. He lectures nationally for Nobel Biocare and Neoss on “All-On-4” restorations. Dr. Hodges has a reputation as a skilled and compassionate doctor, and he is honored to have been selected to Seattle Metropolitan’s “Top Dentists” three years in a row by his peers. Dr. John Hodges graduated from the University of Southern California Dental School in 1993. He served in the U. S. Navy Dental Corps at Pearl Harbor for 3 years before relocating to Washington. While in the Navy, Dr. Hodges was honored to work part-time at CILHI (Central Identification Lab, HI) identifying the remains of MIA’s from Vietnam, Korea, and WWII. Dr. Hodges has placed and restored over 2,000 dental implants. Utilizing technology to improve your comfort and treatment success is very important to him. He is constantly attending continuing education covering all aspects of dental implant care, from surgery and restoration to lab processes and CAD technology. 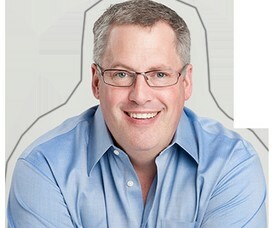 In fact, he is one of only a few dentists certified as a Nobel Biocare CAD technician in Washington State. He completed the one year fellowship program at the California Implant Institute and he is a Fellow of the International Congress of Oral Implantologists. Dr. Hodges is renowned for his ability to plan successful dental implant treatments and to trouble shoot and fix problems with existing dental implants. He serves as a mentor and consultant to doctors and dental labs throughout the West Coast. Dr. Hodges enjoys sport driving, traveling, bicycling, reading, and watching movies. He is an avid Formula One racing fan as well as a NY Giant, Seattle Seahawks, and USC Trojans fan. He was born in New Jersey, moved to Washington D.C., and then settled in Southern California when he was 10. He relocated to Washington in 1996 where he lives in Tacoma with his wife and 3 children.